An easy guide of how to delete contacts on iPhone 7/6s/6/6Plus/SE. Simple ways to delete single/multiple/all contacts on iPhone. As you can see that we cannot massively delete contacts on iPhone all at once or in bulk. 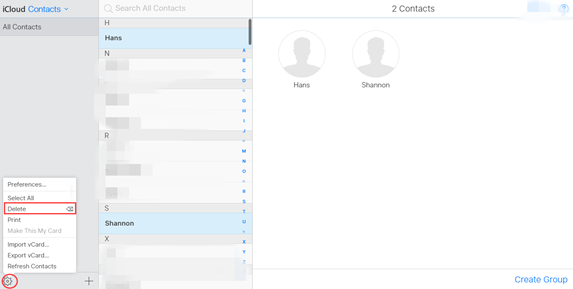 Generally, you can only delete the contacts one by one in the Contacts app on your iPhone or iPad devices. It will be a huge task of deleting if you have hundreds or even thousands of contacts stored on iPhone.The following article will introduce you some simple ways to solve the problem of how to delete contacts on iPhone, including deleting multiple/all contacts on iPhone. In addition to deleting the contacts on iPhone one by one, you can take advantage of iCloud and delete multiple contacts on iPhone at once. Follow these steps. Step 4. Open Actions menu positioned in the lower left corner, and choose Delete to delete multiple contacts on iPhone. According to the above mentioned way, you can also delete all contacts on iPhone: Ctrl + A or Command + A to select all contacts in your contacts list and delete. Or you are allowed to complete the operation on your iPhone which means delete all contacts on iPhone directly. Go to Settings > iCloud > toggle off Contacts > confirm your selection by clicking Delete from My iPhone. 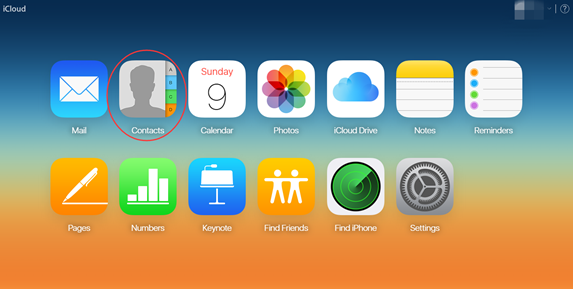 In this way, you can delete all contacts on iPhone via iCloud. It is quite easy, if you just want to delete single contact on your iPhone, and you can make it happen by using you Contacts app on iPhone. 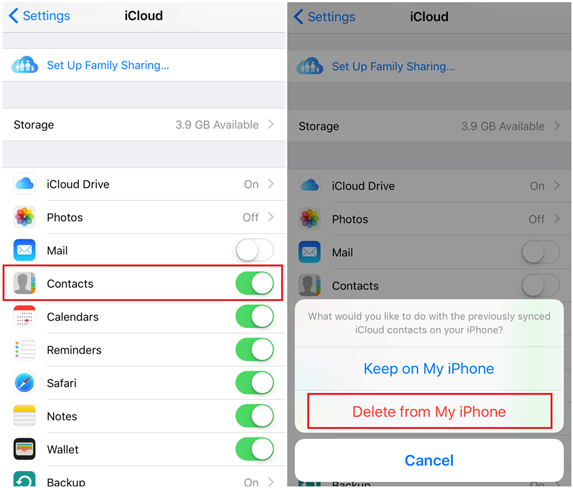 Here are the detailed steps to delete contacts on iPhone.